According to ASPS statistics, there were 6.1 million Botox procedures performed last year, which is a record-breaking number. 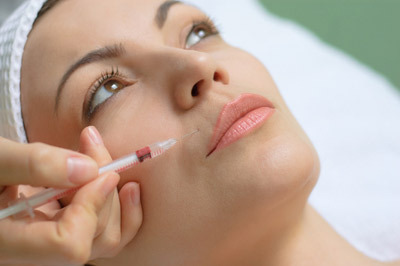 Botox has become a norm for women seeking minor tweaks in order to achieve tighter, youthful skin. Dysport is an alternative to Botox and is a prescription injection for brief enhancement of moderate to severe frown lines between the eyebrows. Both Dysport and Botox are botulinum toxin type A proteins and have similar effects on patients. Botox became FDA approved in the United States in 2002 and Dysport is new to the market, coming on in April of 2009 in the United States. Although Dysport is new to the US, it has been battling Botox for several years in Europe. So what does Dysport bring to the table that Botox doesn’t? Dysport potentially works faster than Botox but not by a remarkable difference, usually one to two days earlier. This could benefit patients that are seeking a quick fix and are preparing for an event or party, otherwise it does not make much of a difference. Some declare that Dysport lasts a little bit longer than Botox, but again, not a notable increase. Patients that have become “immune” to Botox, typically resulting from continual treatments, could potentially react to Dysport. Since the amount of Botox procedures performed has been on the rise, the price of Botox has grown as well. Dysport is an equivalent product to Botox, making them a competitor. With that said, this should result in a pricing competition between the two, which would be an advantage to patients as well as physicians. In the end, there are no remarkable differences between the two products, other than the fact that they have different manufacturers. Book a consultation with the Shaw Center at (480)767-1900 to find out more information and see which product is right for you!